When looking at the cost of a LPMS, there are two high level components: licensing and implementation. Licensing costs differ significantly depending on whether the LPMS is premise-based or cloud-based. In general, premise-based LPMS has a first year licensing cost per user, and then some type of annual maintenance cost, or an Annual Maintenance Plan (AMP). Cloud-based LPMS simply has a monthly cost per user. Make sure you work with each LPMS vendor to get the full licensing cost for the first year, but also for additional years. Needs Analysis – for firms investing in LPMS that want it customized to fit their specific needs, a consultant will need to meet with them to review the nature of their practice, their workflow, and the jurisdictional and practice specific needs that are important and may be vital and necessary to the firm. Customization – based on the Needs Analysis, the LPMS can be customized to meet the firm’s specific needs. This can include customized data collection forms, document automation, workflow and business processes, etc. Installation – this can include the installation of databases, the premise-based LPMS, and other associated applications. Data Conversion – this can include very simple import of contacts and cases, or very detailed conversions of data from applications like Outlook, ACT, Goldmine, or other LPMS. Training – if you are going to invest in a LPMS, you need to make sure you know how to use it. To skip the training is to purchase a very powerful tool, but fail to learn how to fully and properly use it. Implementation costs can often be many times the cost of the licensing. For the five user scenario discussed above, the implementation cost might run anywhere from a couple thousand dollars to tens of thousands. A good ballpark estimate would be one to three times the cost of the first year licensing. There is no question that from a licensing only perspective, premise-based LPMS is less expensive. However, premise-based software clearly requires a larger upfront investment. There is value in the fact that the cloud-based LPMS lets you get started with less financial risk, and a far smaller hit to the firm’s cash flow. Being able to budget for your LPMS cost each month, and not have the large capital expenditure may justify the greater licensing cost. Cloud-based LPMS scales up and down better. If your law firm is one where the number of employees using the LPMS fluctuates often, cloud-based systems let you add and subtract licenses monthly. Premise-based software will let you add licenses at a pro-rated cost, but typically you can only drop licenses at your renewal anniversary. A clear advantage in favor of the cloud-based LPMS is that there aren’t any upgrade costs. Enhancements and modifications are added on the fly, typically without any interaction needed by the end user. Premise-based applications roll out upgrades periodically – often yearly – and require an installation and upgrade process that typically needs to be done by paid consultants, or at a minimum requires time by someone in the law firm, and some level of downtime for the law firm. This item alone closes the gulf between the licensing cost over the five year period we’ve used in our examples above. The cloud-based vendors posit that there are attendant costs associated with premise-based LPMS that don’t exist for their cloud-based products – technology infrastructure that might include servers, networks, and the IT support costs that go with maintaining them. In even the most conservative price comparison, the cloud-based vendors tack on thousands of dollars of extra costs associated with the IT costs of premise-based solutions that bring the costs in favor of cloud-based solutions. You need to take into consideration the firm size. A true solo/duo or very small firm may well be able to run their firm without a network, server and other IT costs. However, the larger the firm, the less likely that this will be true. You also need to evaluate firm-specific software needs. Most law firms have software other than LPMS – real estate firms have closing software, immigration firms have federal immigration form filling software, bankruptcy firms have petition prep software, litigation firms typically have litigation management software, and most all firms have an accounting program. Most of these applications and others like them may require IT support, and the use of a network to share them within the firm. Unless and until all these programs go into the cloud, it’s hard to see these IT costs disappearing just because a firm uses a cloud-based LPMS. Interestingly, even assuming that all of a firm’s software becomes cloud-based at some point in the future, you then may run into the situation where each cloud-based application may try to justify its greater long-term licensing cost by claiming the cost benefit of not needing internal technology infrastructure. Yet, that savings can only be realized once … if a law firm uses 3 cloud-based products, they can’t all justify their greater licensing costs from IT cost savings. It is also advanced that cloud-based LPMS don’t require the initial implementation costs because their products are more intuitive to use, and the cloud-based LPMS often include some level of data conversion at no or low charge or as part of the monthly fee. It is clear that the installation portion of implementation costs disappears with the cloud-based applications, and that is one of their true strengths. However, the rest of the implementation costs – needs analysis, customization, and training – are avoided because most of the current slate of cloud-based LPMS have basic feature sets when compared to the older, more mature and feature rich premise-based products. As the cloud-based LPMS mature, and they add additional functionality and features, the implementation costs that are now associated with premise-based software will likely be needed for cloud-based LPMS. Clio’s recent change to multiple pricing tiers is instructive in this regard – their Elite version offers “specialized customer service, data migration, and deployment/onboarding support.” At an additional cost of $40 per user, per month for as long as you use the program, it is clear that Clio recognizes that serious implementation services are not ones that can be simply given away. Premise-based LPMS users pay for what they need and get – greater functionality. If that functionality isn’t needed by a firm, then the cloud-based LPMS may be the better choice. Assume that using a LPMS enables a medium sized firm to operate with one less employee who was being paid $35,000 in total compensation. That’s a savings of $175,000 over the five year period we are discussing. For a volume firm that uses a LPMS for acquiring clients, assume that they can acquire 2 clients per year they otherwise would not have retained. Further, assume the value of the client is a net of only $2000. Over a five year period the return for just this aspect of the LPMS would be $20,000 which exceeds the cost of any of the systems we have discussed in this paper. Assume a practice opens 100 new cases each year, charging a fixed fee, with a net profit of $2,500 per case (this would be similar to how a bankruptcy firm operates). If they can handle a case in less time, they make a higher profit. If, over the life of each case, the LPMS saves the firm one hour of time, valued at just $25 per hour, they would save $2,500 per year, or $12,500 in five years. This one ROI alone would cover the licensing costs of the LPMS. While we can’t put a monetary value on these, what if an LPMS system lets you get home early each day to have dinner with your family, coach your daughter’s softball team, or have time to exercise or do yoga a half hour a day? What if the LPMS that has codified your practice lets your firm operate efficiently even when you aren’t there so that you can actually take a vacation? What if your calendar and docketing system lets you sleep at night without popping up in the middle of the night wondering if you met that deadline you just thought of? What value would a LPMS add to the sale of your practice? Most lawyers that I have worked with implementing LPMS would tell you that they couldn’t practice without it. They are typically the lawyers who recognize that LPMS is not an expense – it is as much an investment in your firm as your employees, office space, continuing education, and advertising. 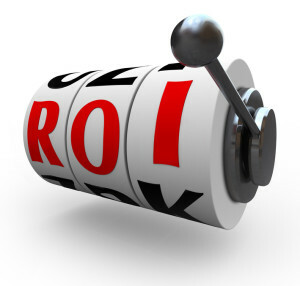 Implement the right LPMS the right way and it will return real efficiencies, savings and profits.